We along with our team is able to give professional set up for refining of precious metals as a very flurish bussiness. 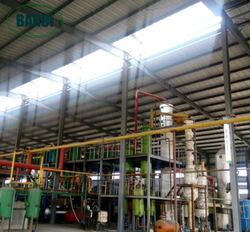 Our machine has this facility VPMR automatic precious metal refinery incorporate the following features. Recovery of gold from high grade scrap such as jewellery, casting machine spill, filling, polishing workshop sweeping dust, mine scrap etc. Looking for Set Up of Professional Refinery ?